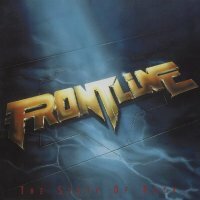 Having formed in 1989, it took Frontline five years before they were ready to release their debut 'The State Of Rock'. Sadly by 1994, the days of AOR and Melodic Hard Rock in the mainstream were over, this was the time when Seattle ruled the airwaves, but Frontline did manage to garner strong support in mainland Europe and Japan, mainly on the back of the single 'Another Love'. In guitarist Bobby Boebel and singer Stephan Kaemmerer, Frontline did indeed steal a march on most of the opposition. Boebel, an excellent guitarist and composer with a keen ear for melody, and Kaemmerer with the silky voice that at one time earned him the nickname "the German Steve Perry", proved to be quite proficient at writing songs that the rest of the musical world had turned their back on. The opening pair of 'Heaven Knows' and 'The Night Comes Over You' nail the band's colours firmly to the mast; big, powerful, up-tempo and hugely melodic. 'Dangerous Game' and 'Endless' continue to ram home the melody, while 'Over And Out', possibly the band's most well-known track, is another masterpiece of power, passion and melody with just enough fluffiness to keep the girls and boys equally happy. The ballad, 'Another Love' has continued to introduce Frontline to new fans on a weekly basis, genuinely seeping into the bloodstream of AOR fans to the point that it is spoken about in almost reverential tones. Frontline would go on to record a further seven studio albums, but in terms of sales and popularity, the fact they fail to match 'The State Of Rock' is more a testament to changing musical times rather than a changing musical style. However, as it has now been re-issued and re-mastered, if you missed this first time around or are looking forward to hearing it with that extra little bit of fairy dust, it's been worth the wait. In addition, there are the two original Japanese bonus tracks in 'I'm Fallin'' and 'Alone'. 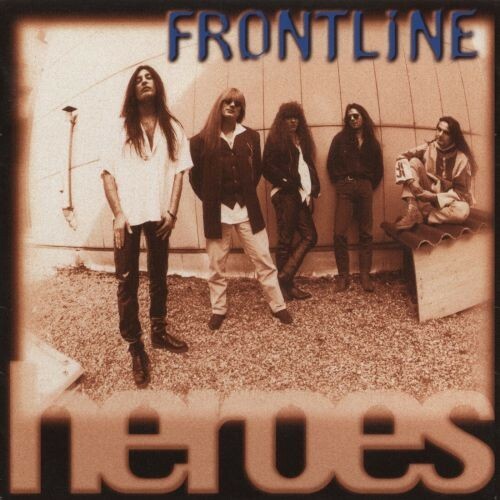 Following a three year enforced hiatus, during which time the band's European label went out of business, Frontline delivered the Japanese-only 'Two Faced' acoustic album in 1995 before returning with 'Heroes' in 1997 which is possibly the finest of their eight studio efforts. Not completely abandoning the lessons learned from 'Two Faced', the band set about once again toughening up the sound, but retaining the little nuances that proved to be such a hit on the previous album and led to decent success in Japan. The opening salvo of 'Our Love', 'Heroes' and 'Moving Closer' are utterly indispensable Melodic Rock that's sublimely crafted and delivered. The soul-searching 'Break My Heart Again' should have been a huge hit if anyone would've given a damn in 1997, but it still retains its place as a resident in the All-Time Top Ten ballads list. The poppy 'Out On The Run' and 'I Must Be Dreaming' are also masterpieces of laid-back Pop Rock à la Nelson or Venice, both of which have hugely singable choruses. 'Tonight We Set' and 'Man In Motion' bring proceedings to a halt, but what a ride. This truly epitomises the meaning of classic Melodic Rock. If you have not been a fan of the band previously, then picking up these two albums is simply a must. No self-respecting fan should find themselves without one. I believe both of these re-issues are limited to a thousand copies of each, so don't hang about if you want to secure one of these for your own personal pleasure.